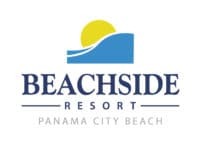 Panama City Beach has both flat water and waves, as well as barrier islands and coastal lakes, providing spectacular and serene areas for stand-up paddle boarding and kite surfing. Also, because the waves are generally small to moderately sized, it is the perfect place to learn to surf. Don’t let your visit go by without exploring the natural wonders of Florida’s Gulf Coast. From kayaking to fishing, running or biking, picnicking or bird watching – here are the best places to get outdoors in and around Panama City Beach. Located at the eastern end of the beach, you can enter the park for just $4 per carload. Once you’re inside, there’s so much to see and do. First and foremost, the former World War II military reservation is home to a mile and a half of unspoiled beach overlooking the Gulf and Grand Lagoon. It’s a lovely spot to enjoy nature, with plenty of wildlife including several species of native birds and baby white-tailed deer. Launch your kayak and head to Shell Island across the channel, an awesome destination for snorkeling around the jetty rocks. Boat tours to the island are available during spring, summer and parts of the fall. Pack a picnic lunch or grill at the covered pavilions. Playgrounds with state-of-the-art equipment are located at the boat basin and campground. Choose from two nature trails: Heron Pond, through flat forest, or Gator Lake, a scenic lakeside hike. Insider tip: the ‘wading pool’ found on the Bayside of the park is a favorite among families with small children due to its calm, clear waters. Just a short drive up Highway 79 from our resort, this 2,900-acre park is using the city’s reclaimed water to rehydrate wetlands. 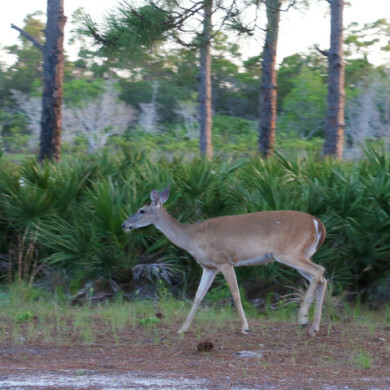 Established by the City of Panama City Beach in cooperation with the Florida Department of Environmental Protection, the park supports forestry management practices geared towards ecosystem restoration and habitat improvements, as native species are reintroduced. To that end, you’ll see lots of Florida wildlife along the trails – perfect for hiking, biking, running – or simply enjoying nature. Choose from 12 trails spanning 24 total miles, between 0.6 and 11 miles in length. There’s also one mile of boardwalk for a different vantage point. Public restrooms and drinking water are provided at the shelter for park users in the southeast corner. Camp Helen is a 184-acre park bordered by the Gulf of Mexico to the south and Lake Powell to the north and east. Lake Powell is the largest coastal dune lake in Florida. The park has hiking and biking trails and is a great place for swimming, beachcombing, bird watching and fresh or saltwater fishing. It also includes restored historical buildings. There are free history tours on the first Saturday of every month at 10:00 a.m.
Don’t forget to pack your sunscreen and your camera!